Appearance grade timbers represent good value for aesthetic end uses. These timbers are non-structural timbers that are manufactured with highly restricted wane allowances to give well defined corners. 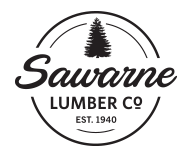 Sawarne’s Appearance grade timbers contain no holes or other natural growth characteristics.